The Betfred Super League Steve Prescott MBE Man of Steel Award will be chosen by a panel consisting of 21 former players and coaches including seven previous winners of Man of Steel, and boasting a combined total of 46 Championship or Grand Final wins, 41 Challenge Cup winners' medals. 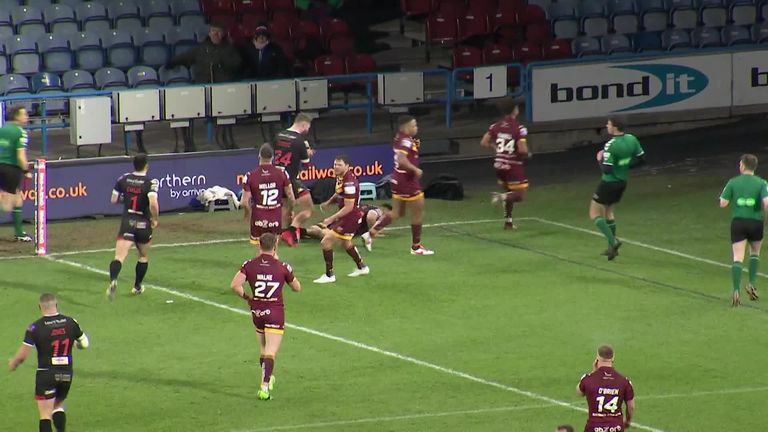 Evalds scored a second-half hat-trick as Salford Red Devils defeated Huddersfield Giants 34-14 at the John Smith's Stadium. 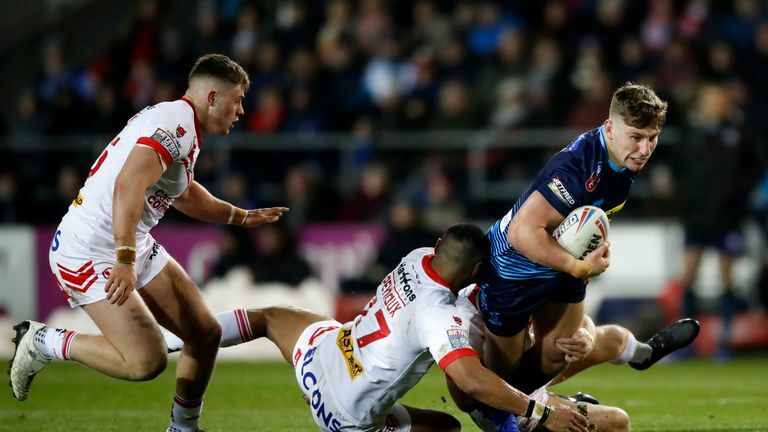 The Red Devils' full-back also assisted a try to condemn Huddersfield to a round-one loss. Ratchford continued on from last season's form which saw him win the Harry Sunderland trophy. Against Leeds he showed his defensive awareness from Rhinos' kicks and the full-back was a great attacking option which culminated in a great finish for Wolves' first try. 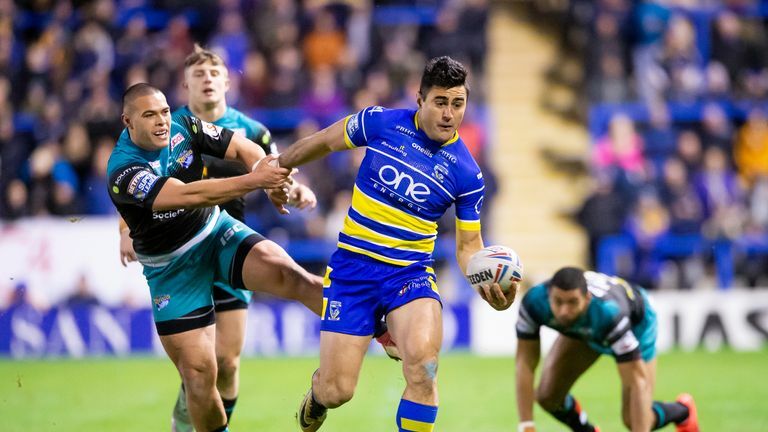 Highlights of Warrington Wolves' convincing win over Leeds Rhinos in their first outing of the 2019 Super League season. 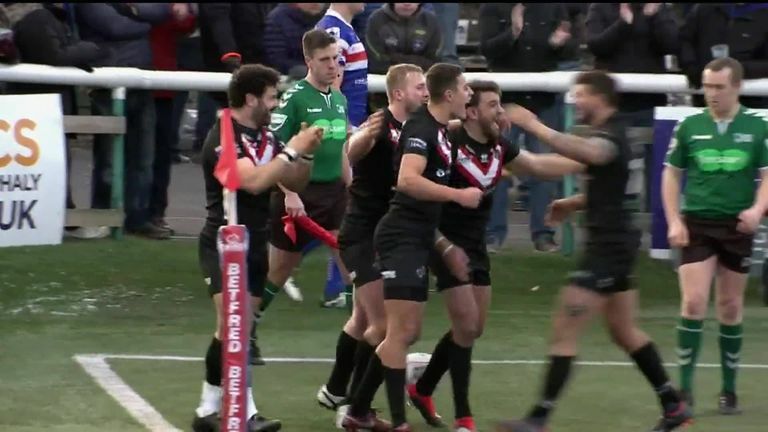 Walker completed a million-pound tackle to secure London Broncos' rise to Super League in the Million Pound Game against hot favourites Toronto Wolfpack last season. 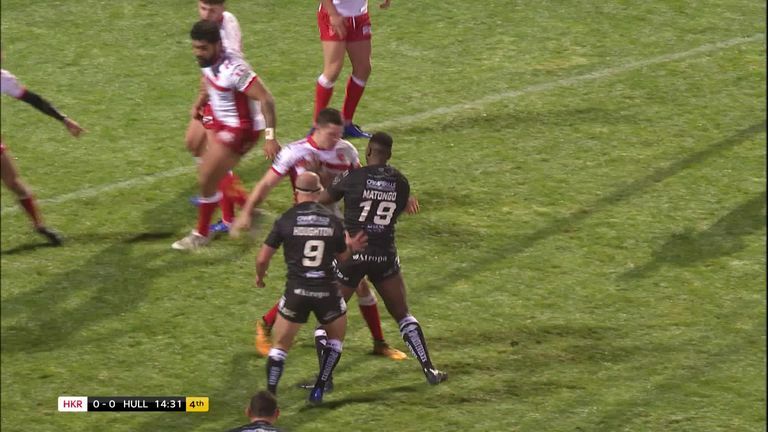 In the opening game of the 2019 Super League season, the full-back put in another stand-out display assisting four tries which helped him earn three Man of Steel points. 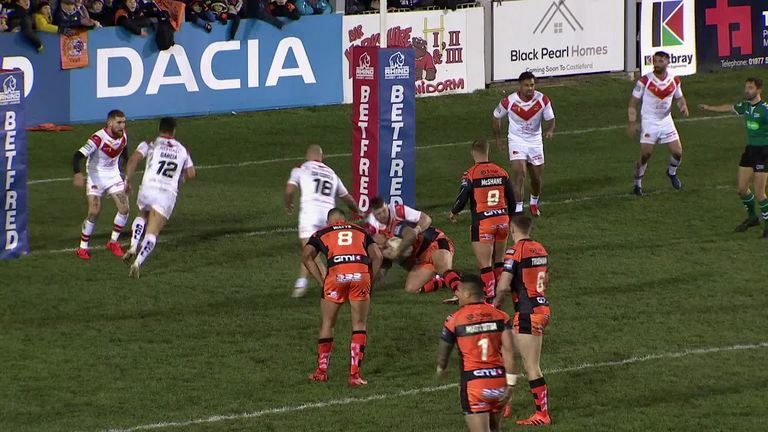 Castleford kicked off their campaign with a 20-4 victory over Catalans, Watts picked up three Man of Steel points in a game where he made the most metres (181) in the game with an average gain of 9.05. He also made 43 tackles, only second behind Catalans' Alrix Da Costa.